The above info came from atomofish, and was edited by yours truly (contact me). The image came from FantasyAnime. 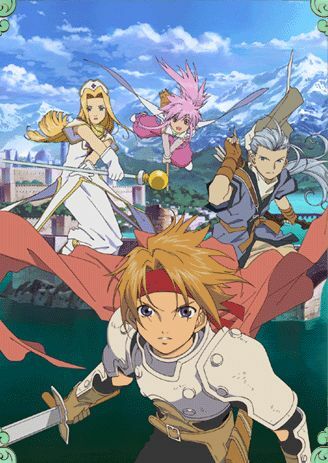 Based on the classic RPG game, Tales of Phantasia tells the story of Cless, a young swordsman from the town of Totus. Cless' peaceful life is turned upside down when his home is destroyed over a pendant he received as a child. He meets a healer named Mint, and together they are sent back in time in order to defeat the evil sorcerer known as Dhaos, and undo all the damage he's created. They also team up with archer Chester, summoner Klarth, and half-elf Arche as they try to stop Dhaos for good and bring piece to the land.